How 'bout your Revit model, does it have Rhythm? One of the really interesting things about Dynamo is its open-source nature. An active community means frequent updates. And, since Package Manager, built by Peter Boyer, was introduced in version 0.6.0, custom packages have proliferated. I've posted about a couple before, Mantis Shrimp, for Grasshopper and Dynamo interoperability, and Rhynamo, for Rhino and Dynamo interoperability. The common thread between these two is Rhino and, when I posted about these packages, Rhino got clicks. Nowadays, it's Dynamo that gets the clicks. Clockwork is another package I've posted about previously. As of this writing, there are 591 packages from 131 authors available from the Dynamo Package Manager. A few I've been aware of and meaning to post about. I enjoy Luke Johnson's seemingly daily posts on "what's cooking in the Bakery" over on What Revit Wants. LunchBox, and DynamoSAP are a couple others that I've read about, at least in passing, and DynaWorks, for Navisworks and Dynamo interoperability, is one that I've definitely been planning to post about. One of the packages that was not on my radar until I saw a tweet while monitoring RTC NA post-goings-on is Rhythm by John Pierson of 60 Second Revit. In his own post-RTC NA post, John added a node to make Revit parameter getting and setting from Dynamo NOT case sensitive. Today Oliver Turan teased "a few new tools" and a Mechanical Productivity Pack. From the photo, it looks like a new BIM Batch Suite has joined CTC's BIM Manager Suite and BIM Project Suite. We'll get you the details as they become available. And, behind Oliver, is one of the new tools (Net)work Configurator? Steve Germano recently teased a new online analytics portal for Unifi. We'll get you the details as they become available. 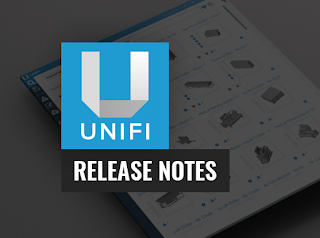 We are very happy to announce the release of Unifi v1.6. Highlighted in this release is the compatibility for Autodesk Revit 2016! 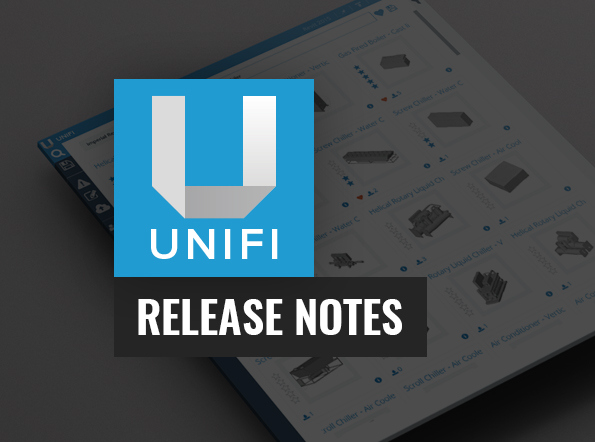 A 2016 version of all your content is now readily available in the Unifi cloud. If your teams are inserting content into a Revit 2016 project, Unifi will automatically download and insert the 2016 version of that content. 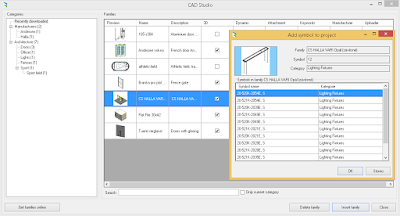 Just in time for RTC NA 2015, the CAD Technology Center has released new versions of their popular BIM suites. New Feature: Batch Family Loader can now reload only the selected or all families in the currently open project or family. New Feature: Import and Link Manager now breaks down the imports and links into separate lists by these filters: All, All Links, All Imports, Revit Links and CAD Links. New Feature: Model compare allows filtering snapshots to include only selected types of information, which can dramatically speed up the process of taking a snapshot and can simplify the resulting report. Enhancement: Model Compare’s engine for comparing two snapshots runs amazingly faster (about 10x faster). New Feature: View Creator can now create and/or update sheets. New Feature: Schedule XL allows including only the Print Area on each sheet to be placed in the schedule view. If no Print Area is defined, the entire sheet is used. New Feature: Schedule XL allows specifying whether or not Auto Update should be on when adding new worksheets to the project. Our graphics wizards have been hard at work to make FormIt 360 look great right on the screen. We now support 2X “retina” style displays on desktop machines. You can also independently control the weight of edges and silhouette edges. In case you missed the previous announcement, the Revizto Editor is now free to use! Cloud Collaboration becomes paid on July 30.
and share it for visual collaboration." It has a built-in Issue Tracker which allows you to "assign tasks and check their accomplishment, as well as generate regular reports." It also features Revision Control; "you have access to all revisions of your project synced to the Cloud right from the Editor." You have access to the model metadata too, and even the ability to edit it. All this and much, much more. 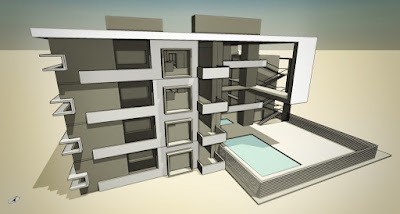 What applications does Revizto support? Revit, Navisworks, AutoCAD, ArchiCAD, SketchUp and more. And, just in time for RTC NA 2015, version 3.5 has been released. Now you can import all your clashes in Revizto Issue Tracker. We significantly improved Merging scenes feature. Now you can override federated model directly from Revit, Navisworks, etc., without having to combine the model all over again after each change. A lot of stability improvements. Go get it at Revizto.com. 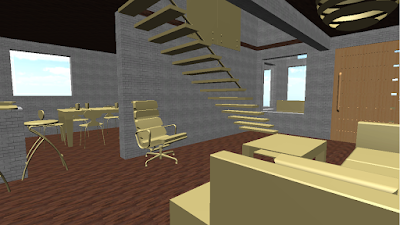 @REVIZTO Love the new #Revizo and love the fact it is free now too. Even during my holiday I wanted to try it. Simple and fun. Updated 7/28/2015 to include a tweet from Jason Howden of RTV Tools. Revit Add-ons surpassed 1 million pageviews today. 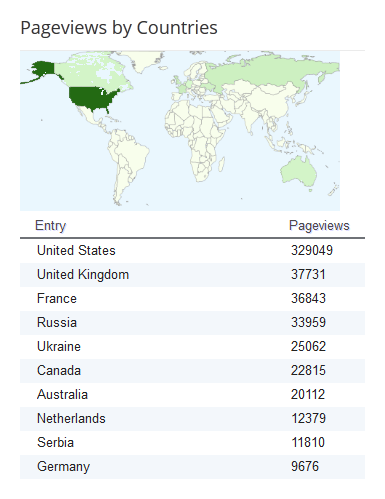 That's quite a ways from the modest 5,000 or so pageviews that the site received in its inaugural year. It took about 4-1/2 years for Revit Add-ons to reach this milestone, the last 500,000 pageviews coming over just the past 18 months. Thank you readers for making this site a bigger success than I ever expected! Also thanks to our former advertisers: 3DA Systems, CGS Plus, Content|Studio, IMAGINiT, Kiwi Codes Solutions, Revizto, Revolution Design, and YourRibbon. It was a moderately busy week of Revit add-ins on Autodesk Exchange Apps. Three new add-ins dropped, including Unity, a free add-in to connect Revit with the Unity game development platform. 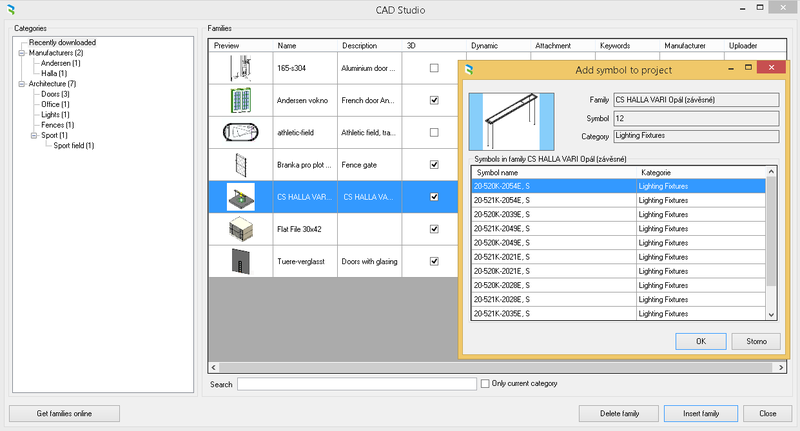 Eight add-ins were updated, including Autodesk updating the Lighting Analysis add-in for Revit 2016. CADforum BIM Families is a tool for convenient access to the online BIM block catalog at www.CADforum.cz. Directly insert any of the thousands free RFA families. Managed downloaded families for local reuse. A similar tool is also available for DWG and Autodesk® AutoCAD®. The CADforum BIM-Families add-in is brought to you by CAD Studio and is priced at 10.00 USD. 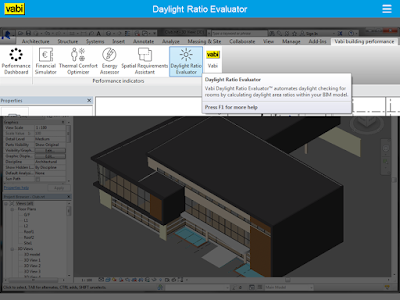 Vabi Daylight Ratio Evaluator™, working as a plugin within Autodesk® Revit®, automates daylight area ratio checking of your BIM model. As a result optimal design decisions can be made regarding floor areas, glazing, glass area, windows, lighting, comfort, brightness, darkness – better working and living spaces are produced. It is especially relevant to architectural designers and building engineers but also useful to all the design team. Automatically adds and saves the daylight area ratio values per room in the Autodesk Revit® model. Creates a Daylight Performance Indicator in the Vabi Building Performance Dashboard. 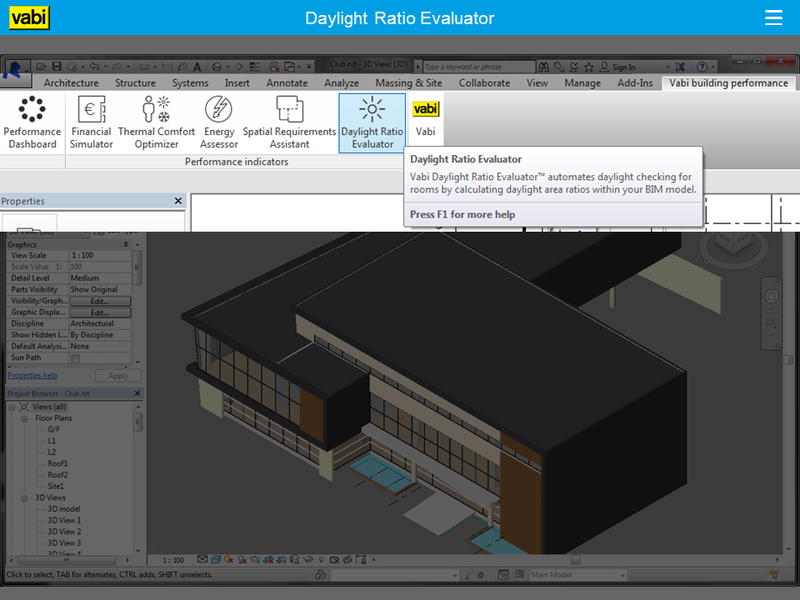 Vabi Daylight Ratio Evaluator™ takes Revit to a new higher performance automation level to deliver more of the promise of BIM by providing automated daylight checking and decision support for your integrated BIM design approach. It is available to Revit users in a modern SaaS (Software as a Service) model under annual or monthly subscription. "Unity for Autodesk® Revit®" is an add-in to connect Revit and Unity gaming development platform. The add-in supports export of 3D model geometry from Revit to Unity gaming development platform allowing users to have first person 3D shooter game like experience while using Revit created model as the 3D environment. Export of 3D model geometry with materials and textures from Revit to "Unity for Revit". Generation of the standalone executable package to view the exported Revit model in a three-dimensional representation that does not require neither Revit nor Unity installations. "Unity for Revit" supports Autodesk® Revit® 2016, Autodesk® Revit® 2015 and Autodesk® Revit® 2014. Autodesk Exchange Apps recently marked its 1 millionth download. Congratulations to the Exchange Apps team! Congratulations also to all the developers who have distributed their add-ins through the site! You can read all about the accomplishment on Autodesk's In the Fold blog. It was another busy week for Revit add-ins on Autodesk Exchange Apps. 16 apps were updated and a new free one debuted, the External Access Links Manager. Notable updates include Enscape, the Editor's Choice award-winning real time 3D rendered walkthrough app, updates to the popular Ideate BIMLink and Xrev Transmit add-ins, and the replacements from Autodesk for the built-in IFC import and export capabilities in Revit 2016 and 2015.